One week into 2019, 2020 has arrived -- with a pace that's already picking up. Sen. Elizabeth Warren and former Department of Housing and Urban Development Secretary Julian Castro are already taking their "exploratory" phase into actual campaign stops. Former Rep. John Delaney is opening the cycle's first Iowa offices this week. Now comes Sen. Kamala Harris, with a book tour that's likely to be covered as a pre-announcement introduction. She will be interviewed on ABC News' "Good Morning America" and "The View" today. If she runs, Harris is unlikely to be the only Californian, the only African-American senator or the only prosecutor-turned-senator, in a field that could easily reach two dozen. Former Vice President Joe Biden is scrambling to make some calculations with the suggestion that he's only weeks away from a decision. But the emerging field has no true front-runner. And, with a new memoir serving as Harris' vehicle, there are plenty of stories to be explored. How long can Sen. Mitch McConnell stay out of this shutdown fight? So far, the Senate leader has said he will not bring any budget bill to the floor that the president won't sign. It was a move that protected his Republican colleagues from having to take a tough vote and placed the issue at the president's feet -- a move that, in effect, highlighted the White House's evasive and noncommittal tendencies these last few days. But Monday, Democratic Leader Sen. Chuck Schumer and others like Sen. Chris Van Hollen, D-Md., said they will block any non-shutdown-related legislation from advancing in the Senate, until McConnell at least brings up bills sent to them by the House to reopen all the other agencies that have nothing to do with the border wall fight. After all, senators agreed on funding levels for those remaining agencies, except for the Department of Homeland Security, before the holiday. Democrats' point now: What changed? 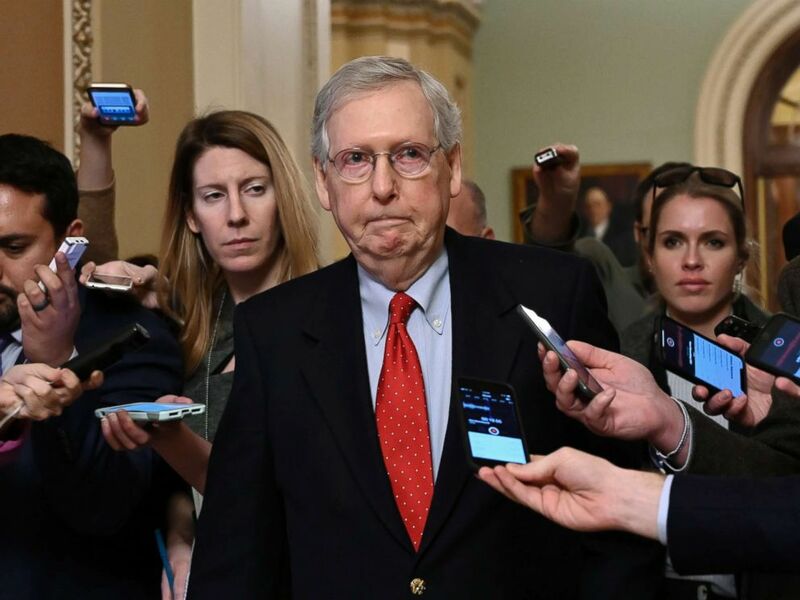 McConnell has tried to throw up his hands, punt and sit on the sidelines, but Senate Democrats might just force him into this game. 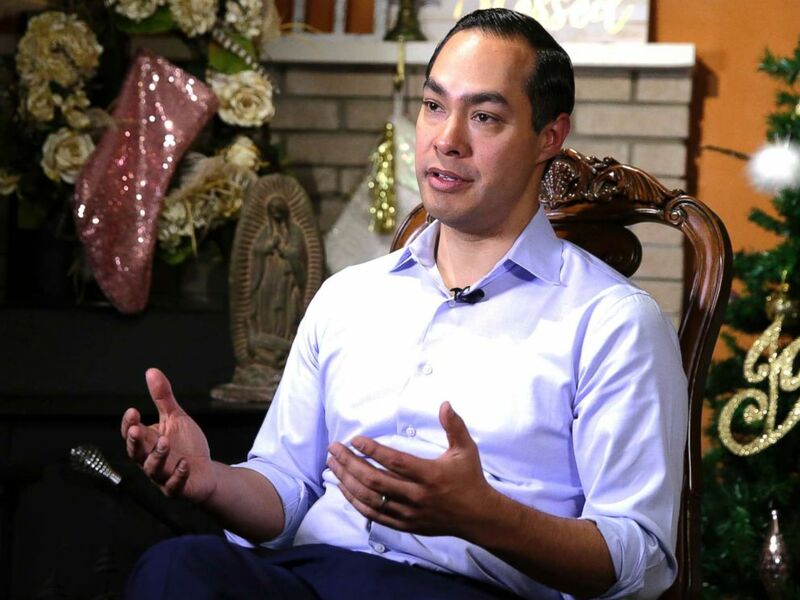 Days ahead of his expected announcement for 2020, Castro ended his quick trip in Iowa at a suburban home that's already drawn multiple presidential hopefuls before him. That event was hosted by Jane and Ed Cranston, a couple in their 60s who started a grassroots Democratic group during 2016 and now host monthly potluck dinners that double as political activism meetings out of their home near Cedar Rapids. They call their group the "Potluck Insurgency" and they've gained some steam. Over the last year, they've hosted high-profile Washington figures, who may have an eye on the White House: Sen. Jeff Merkley and Rep. Eric Swalwell. Jane Cranston said they're just like any grassroots group fueled by anger at the Trump administration. Being in Iowa, however, these groups might become important campaign mechanisms for potential presidential candidates. On Monday night, that was Castro. His team reached out ahead of the visit, Cranston said, and she added that she was delighted to welcome him. Castro spoke for almost 40 minutes in the Cranstons' living room, where people sat, overflowing into the nearby dining room and kitchen. He spoke of a backwards slide for America under the current administration. "In the coming months, starting on Saturday, I'm going to be talking about my vision for the future," he said. He's set to make his announcement on Saturday, Jan. 12, in San Antonio, where he once served as mayor. Pressed on what that announcement would be, he would say only that it would be "an announcement." After the gathering, he spoke to a small group about concerns that predictions of rain might hamper turnout. So far, only John Delaney, who just ended his third term as a U.S. representative in Maryland, and Richard Ojeda, a former House candidate from West Virginia, have formally announced their candidacy. Democrat Julian Castro talks about exploring the possibility of running for president in 2020, at his home in San Antonio, Dec. 11, 2018. Sen. Kamala Harris will appear on "GMA" and "The View" to discuss her newly released memoir, "The Truths We Hold: An American Journey." On the eighth anniversary of the shooting in Arizona that left her critically injured, former Rep. Gabrielle Giffords hosts a 10 a.m. breakfast in Washington with gun violence survivors and experts to preview gun-related legislation set to be introduced in the new Congress. Giffords will join House Speaker Nancy Pelosi and Rep. Mike Thompson to introduce bipartisan legislation that expands background checks on firearms transactions at 4:30 p.m. at the U.S. Capitol. Reps. Abigail Spanberger, Antonio Delgado, Jared Golden and Jason Crow participate in an "End Citizens United" forum on H.R. 1, a sweeping anti-corruption bill. The event is at 2 p.m. at the National Press Club. American University hosts a full day of free skills and management training for furloughed federal employees beginning at 8 a.m.